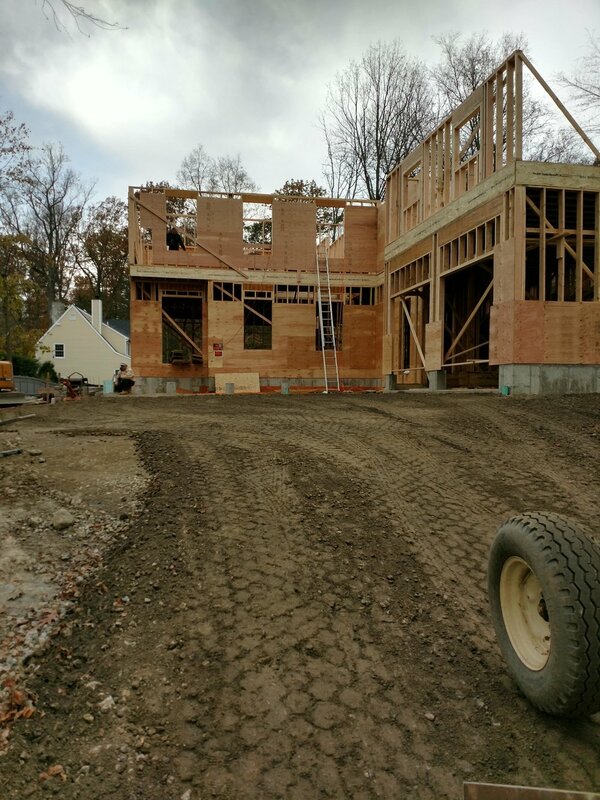 Contemporary new energy efficient farmhouse for in town living on a quiet cul-de-sac in New Canaan. 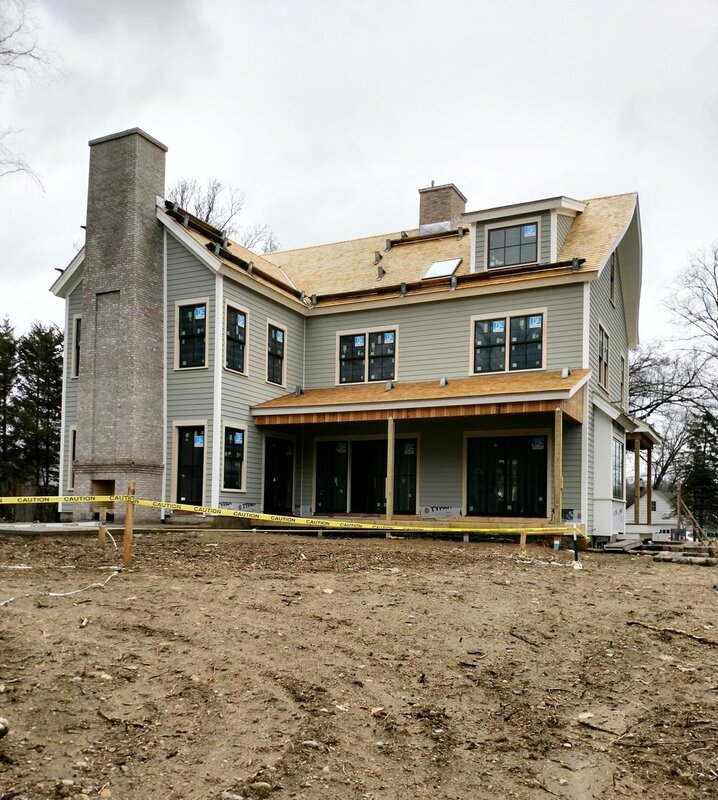 Interior will feature transitional millwork, cabinetry, tile and fixtures along with energy efficient foam insulation, radiant heating and cooling panels for HVAC. 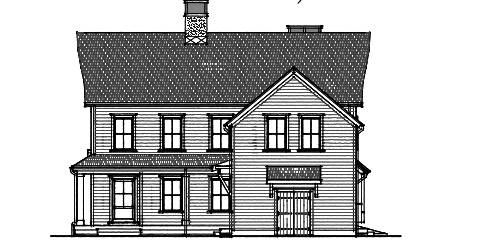 Exterior highlights will include Alaskan yellow cedar roofing and copper standing seam roofs, covered porches and cedar clapboard siding. 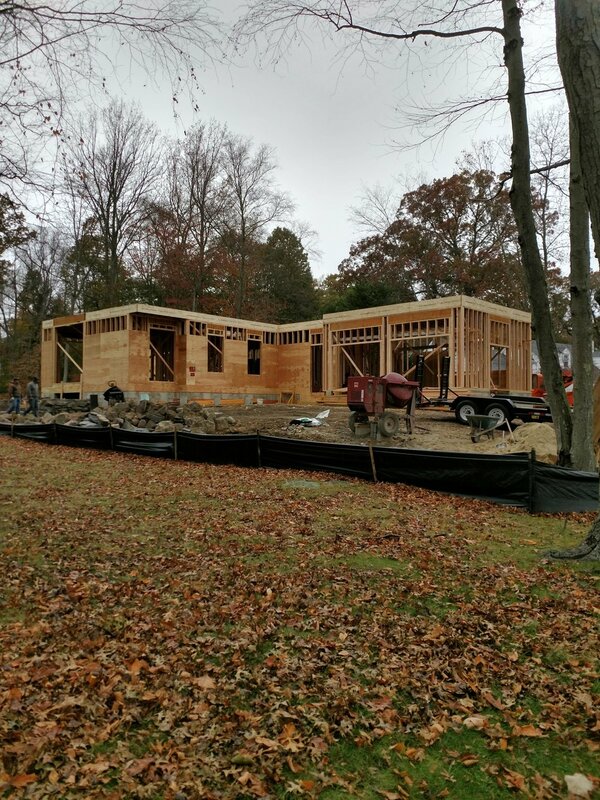 Project well underway, with the main house framing, through mechanicals complete. 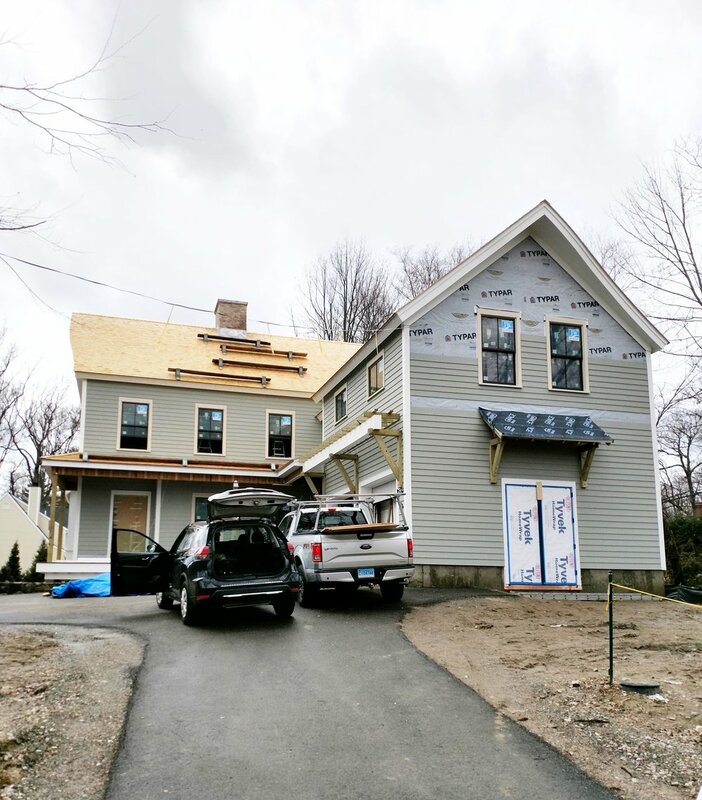 Take a walk through the project with 3D photography taken just before insulation.